Summary: Don’t make trivial mistakes that landlords tend to make when running their property. During the decision-making process for your property, you’ll want to make sure you choose the right tenants. Also, you’ll want to verify that your contract follows all the state’s laws and regulations so you don’t end up being sued for negligence. The best way to go about doing this is to check your state’s laws regarding real estate contracts. By doing this, you can deduct what you can put in your contract and what you can leave out. This is a crucial step in the contract creation process – there could be severe legal consequences if you neglect to take care of this appropriately. For one, you’ll want to ensure that your contract is legal in every aspect. If you decide to tack on a late fee for rent payments, what’s the legal amount that you can charge your tenant? Furthermore, what’s the amount of days that can go by before you evict a tenant as well? And, there’s also the matter of accepting tenants in the first place. As a landlord, you can’t discriminate based on your opinions of the individual. If you simply don’t like him or her, you can’t just say no immediately. This goes against many state laws and the candidate could potentially sue you for this. If you want to avoid the hassle of going to court, make sure to prioritize your contract. Everything needs to be written down appropriately and legally correct. 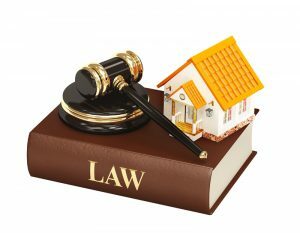 If you’re unsure about any of the minor details, feel free to contact a real estate attorney and have him or her go through the contract in full before you start attracting potential candidates. While this may cost a fee, it’s much better than winging it and having to potentially go to court and dealing with these issues. It’s best to start early and focus purely on what can and what can’t be on the contract itself. Besides, if you do take the route of talking to an attorney, he or she will cover every aspect of the contract and let you know what to do. Don’t be afraid to ask questions either. It’s important that the two of you are on the same page. Blog submitted by Tenant Screening Services, LLC: For thorough criminal background checks online, trust the experts at Tenant Screening Services, LLC.